​​Are you in-network with my insurance? with BCBS of IL PPO, Blue Choice PPO, and AETNA PPO. Some therapists are also in network with Cigna PPO. Even if we are not in network with your PPO, we can submit the claim to your insurance company directly or give you a receipt which you can send to your insurance company for reimbursement. I have an HMO, are you in-network? clients have gotten “authorization” to see therapists at The Awakening Center, especially because of our expertise in treating Eating Disorders. You need to ask your Primary Care Physician to write a referral to The Awakening Center. Can you tell me what my insurance will pay for my therapy sessions? Why do you recommend that I call to verify my insurance coverage before my first session? insurance and your mental health insurance may be covered by two different insurance policies. You may find that the insurance company that covers your medical claims is not the same company which covers your mental health claims. Will my insurance cover my visits to the nutritionist? are even covered 100%! You may need to get a “prescription” from your medical doctor in order for your insurance company to justify the need for these services. Do you offer sliding fees? 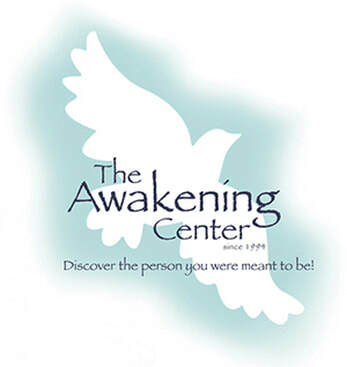 The therapists at The Awakening Center all have a limited number of sliding fee appointments. We offer very-low-fee therapy with therapists-in-training for clients who do not have mental health insurance. Please be aware there may be a waiting list for very-low-fee therapy. these agencies do not accept the care of an LCPC or LPC. I don’t understand how insurance works. Can you explain it to me? Will using my insurance for Mental Health services make my insurance company raise my premiums? At this time your confidential information including diagnosis is protected by HIPAA (Health Insurance Portability and Accountability Act, 1996) laws and your employer and insurance company cannot use this information for any reason other than reimbursement for services. Why do I need to ask about pre-existing conditions? The Paul Wellstone and Pete Domenici Mental Health Parity and Addiction Equity Act, went into effect January 1, 2010. In simple terms this law says that your mental health insurance coverage has to be equal to your medical insurance coverage – if you work for a company with 50 or more employees. If you had a heart condition the insurance company could not say, “We’ll pay for 10 visits to a cardiologist and we’ll only pay for 15 days in the hospital.” Therefore, in theory, the insurance company is not supposed to limit the number of sessions with your therapist, nor put limits on inpatient hospitalizations. PLEASE NOTE: Laws regarding your insurance coverage, especially insurance coverage about pre-existing conditions, can change if Congress votes for these changes. If you are concerned about having insurance coverage in the future, we suggest that you contact your Senators and Representative and make your concerns known to them. You can find your Senator at www.senate.gov or Representative at www.house.gov. What should I ask when I call to verify my insurance coverage? Here are some suggested questions you may want to ask your insurance company about your mental health coverage. There is usually an 800 number on the back of your insurance card. We recommend that you print out this page and fill it out as you speak with the insurance company. Please make a copy of the answers for your therapist at your first session. 6) Is (Therapist name or The Awakening Center) an ‘in network provider’ – their tax id # is 20-5985467? 7) What is my deductible? 8) Have I met my deductible? 9) What will you pay for each session? 10) What is my co-pay for each session? 11) Is there a maximum number of sessions per calendar year? 12) Is there a maximum amount of benefit payments per calendar year? 13) Is there a pre-existing condition clause? What conditions are in the clause? 14) Do the sessions need to be pre-authorized or pre-certified? 15) What is the procedure for pre-authorization? 16) What is the “electronic address” to send claims?